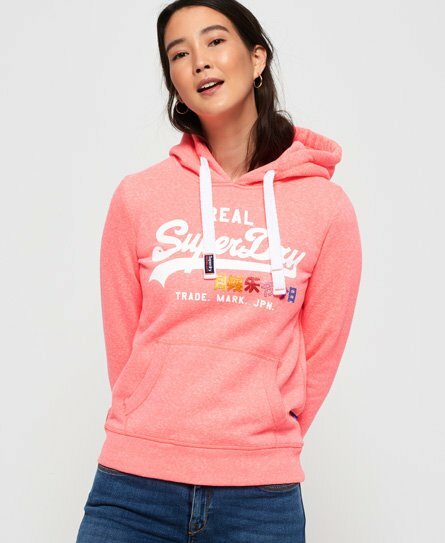 Superdry women’s Vintage Logo rhinestone pop hoodie. This classic overhead hoodie is a must have item in any woman’s wardrobe this season. This hoodie features an adjustable draw cord hood and the iconic Superdry logo across the chest, with rhinestone detailing to add a bit of colour back into your hoodie collection. The Vintage Logo rhinestone pop hoodie also features a large front pocket, ribbed cuffs and hem as well as an orange stitch in the seam.